Boys Over Flowers / Kkot Boda Namja is a 25 - episode Korean drama based on the shoujo manga, Hana Yori Dango by Yoko Kamio. If you have watched the drama, you will surely be looking for the lyrics of its wonderful soundtracks. Hence, this lens was made to cater the needs of the viewers. You can find the romanized and english translated lyrics of the songs included in the second official soundtrack used in the drama. The Boys Over Flowers phenomenon has hit the world! Join Jandi and the Boys of F4 as they learn the true meaning of friendship and love in the hit comedy sweeping across Asia. Jandi is a brave high school girl who fights for the rights of others no matter the cost. When she defends a friend against the elite Boys of F4 (Flower 4), they target Jandi as their next victim. But nothing stops Jandi. She fights back and wins the admiration of the extravagantly wealthy boys. In a comedy filled with entanglements and adventure, Jandi never stops helping others. And F4 never stops rescuing her! The Boys of F4 may be loyal to each other, but they all lose their hearts to Jandi. Boys Over Flowers is based on the hugely popular Japanese manga, Hana Yori Dango, by Yoko Kamio. The Korean TV adaptation dominated the ratings and continues to win fans with its combination of laughter, thrills and romance. On DVD with English subtitles. i wish you're my love. i long for it this much..
please come to me. let's start together now. is this what love is? is this what happiness is? You really don't know me well. Do you think that I will be okay without you? Is it too late for me and you? Do we have any more chances? So is this it? Is this how it will end? Are you satisfied how things are now? I don't think I can be satisfied like this. won't ever be able to forget you, please hold on to me. Do you think Ill be okay without you? Are you okay without me? Are you living each day painfully like I am? Dow we not have a chance? Are we going to end like this? Is it okay with you? No one can erase your memories. Do we not have a chance? But me, I still think about you, and you might not know. 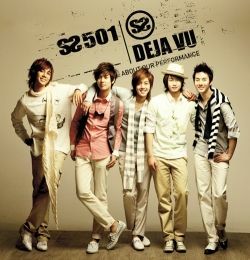 Jeogi byeolbitmajeodo modu gajyeoda jultende ohhh..
Do you know that... - Kim Hyun Joong of SS501 can play the guitar? Order your new guitar now and play your favorite songs! Even if I don't understand the language I like your songs. the tones, melodies, and swag/style they 're all cool. 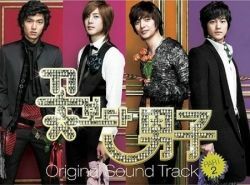 Also love all the soundtracks in the season drama Boys Before Flowers. Ever since I went to Korea for Spring Break I have been obsessed with K-Pop. I even started taking Korean in college so I could understand the songs better. Very nice Lens i like it thanks for sharing it. OMG I love Boys Over Flowers. The casts are so awesome. I want to get everything about Boys Over Flowers. I LOVE YOU!!!!! KOIM JOON YOUR NOT ONLY A HANDSOME MAN BUT YOU ARE A PERFECT MAN! I LOVE U JUN PYO!!!!!!!!!!!!!!!!!!!!!! I just need the English &amp; romanji lyrics of that song. pa lgy ma k jun pyo....???? i hope, i can meet u ! u give me a strong to school at korea. Uwwh.. So glad 2 gVe coMmenT. I loVe lee miN hO so mUch.. Min Ho caN u uNdersTnd mY feeL ?? Lee min ho.. U weRe mY stRength when i was weak.. I hoPe we can meEt, hVe fun 2gether, and take our best phOto.. Hehe.. Although all of my hope is imPosibLe.. But i still love u..
annyong hashimnikka. chonun iries jane imnida. from philippines ottoshimnikka lee min ho? you kow, i like your killier smile, it makes me giggled. you're so cute. saranghamnida. take care &amp; GOD BLESS. 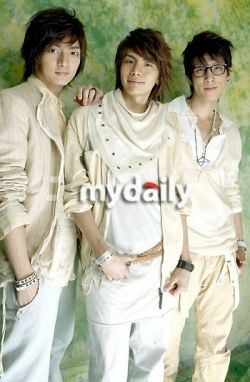 naneun dangshineul saranghamnida lee min ho..neh ee rhum eun shella im ni dah from the philippines..
................... I LOVE U LEE MIN HO! KAPAN DONG KE INDONESIA ........? kalo nyari kaset originalnya dimana ya?????????????? aq seneng bgtz sama lagu itu. tapi koq waktu aq dapet catetan soundtracknya dari majalah,cuma lagu itu doank ya yg gk ada???????????? buwat kim bum semoga tetep bisa kasih senyuman yang sangat'' manis.OK!!!!!!! Tlg ya lagu my everything. Dinyanyiin lee min ho, aku seneng bgt sm lagu itu. grabe!ang ganda talaga ng mga theme songs ng BOF!! !love it!! !Favorite ko lahat!!! Mm...... lee min hoand wubin is my crush.. Idol q talaga c junpyo!! !...best Actor..at tska super gwapo tlaga...hanga aq sa F4 dhil super gwapo tlga clang lahat at mga talented pa..pati na c jan di..
lee min ho and kim bum!!! cutest guys on earth!!! 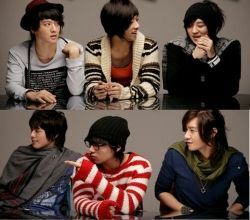 i like kim bum, because he's cute man!!!!!! Go Goo Jun Pyo! Hahaha. AJA! hye..thank u so much for the lyrics...really love it..
btw i'm looking for the biweonaegi (kim jo han ft kim joon) lyrics..
kim bum !!! you're so cute!!! Il love you Lee Min Ho you are the best of my 101 lucky boyfriends.You are the most of all of my boyfriend. 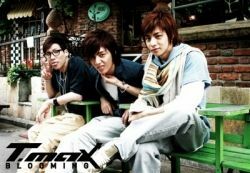 love u love u love u..
i love kim hyun joong very much. they're such lovely songs...thank you..
yeah!itz nize but why some of the videos are not playing?????????? hate it!!!! !